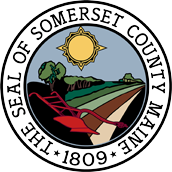 Somerset county Jail is a "Direct Supervision" jail capable of housing male and female, pre-arraignment and convicted inmates in the following classification categories: special management, medium, minimum, work release and trustees. The facility is manned by approximately 70 staff split among 2 shifts working 24/7. The facility has a rated capacity of 234 persons and a budgeted capacity of 192. The facility was re-certified by Department of Corrections on September 9, 2013. The jail population was moved in under 6 hours without incident on October 30, 2008 and the old jail was closed at midnight on October 31, 2008. Somerset County Jail currently houses: Somerset County pre-arraignment and convicted inmates, and federal inmates. Our physical plant is ADA accessible, fully fire protected, compliant with state department of corrections standards, significant medical, mental health and substance abuse resources, inmate law library, colocated with Somerset County Sheriff's Department. The facility is staffed by Maine Criminal Justice Academy Certified Corrections Officers many of which have additional training in Interpersonal Communications Skills, Crisis Intervention Training through Maine NAMI, and in law enforcement. Correctional staff have an average of 7 years in corrections at Somerset County Jail. The administrative staff have extensive experience in corrections at both state and local levels and are led by Sheriff Dale P. Lancaster, who has extensive law enforcement experience as well as being certified in corrections by the Maine Criminal Justice Academy.